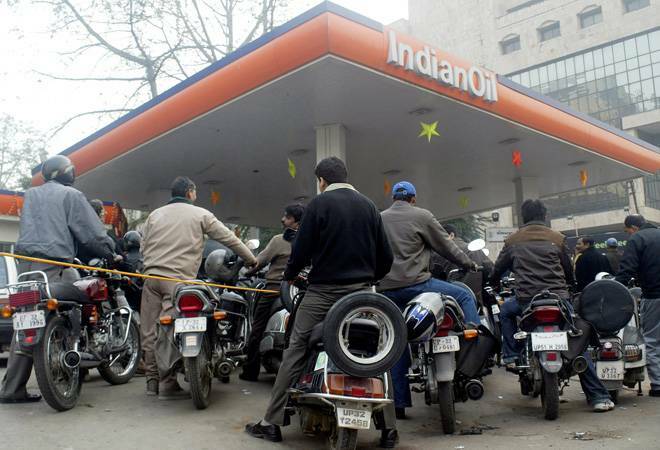 The State Bank of India has extended the deadline for its free petrol scheme in collaboration with Indian Oil till December 15. The State Bank of India has extended the deadline of its scheme promising up to 5 litres of free petrol to Indian Oil customers. Those who use the SBI cards or BHIM SBI Pay to purchase petrol worth at least Rs 100 will be eligible for the offer. The scheme, originally meant to last till November 23, has been extended till December 15. "Fuel up with BHIM SBI Pay at any Indian Oil Retail outlet and get up to 5 litres of petrol absolutely free! Offer extended until 15th Dec 2018," SBI said in a post on its Twitter handle. 1. Buy fuel at least worth Rs 100 from Indian Oil outlets and pay through BHIM-UPI or SBI cards. 2. The 12-digit UPI reference number or the 6-digit approval/authorisation code to in a specified format to 9222222084. The scheme, however, is subject to certain terms and conditions. Here are the some crucial points to keep in mind. 1. This offer is open to Indian citizens aged 18 years or more, as on April 1, 2018, only. 2. A customer can make multiple entries for repeat purchases. However, each SMS should have a separate authorisation code or UPI reference number. Multiple entries using the same authorisation code or UPI reference number will be considered invalid. 3. The UPI reference code or the authorisation code for card payments have to be sent to SBI within seven days of the transaction. Out of all eligible SMSs received for a particular transaction date, 10,000 SMSs shall be entitled for cash-back ranging as per Rs 50, Rs 100, Rs 150, and Rs 200. 4. One mobile number is eligible for getting cash-back for maximum two times during the campaign period. 5. Winners will be declared normally within two weeks of the close of the offer. Winners will be sent link to enroll into the XTRAREWARDS Loyalty Program of Indian Oil and the cash-back incentive will be credited into the winners loyalty account. The winners shall be required to provide the requisite personal profile information to Indian Oil for creation of the loyalty account. The winner shall also have to agree to the XTRAREWARDS Loyalty Program to avail the cash back incentive. 6. Winners may redeem the XTRAREWARDS loyalty point by visiting participating Indian Oil retail outlet against fuel purchase.